The Bran Castle, also known as the Dracula's Castle, is the most visited tourist destination in Romania. Hunedoara Castle, one of Romania's most popular tourist attractions. The Cantacuzino Castle is a beautiful Romanian Castle located on the Zamora Street in Bușteni, Romania. The castle’s construction was completed in 1911. The construction was commissioned by Prince George Grigore Cantacuzino and executed by architect Gregory Cerchez. 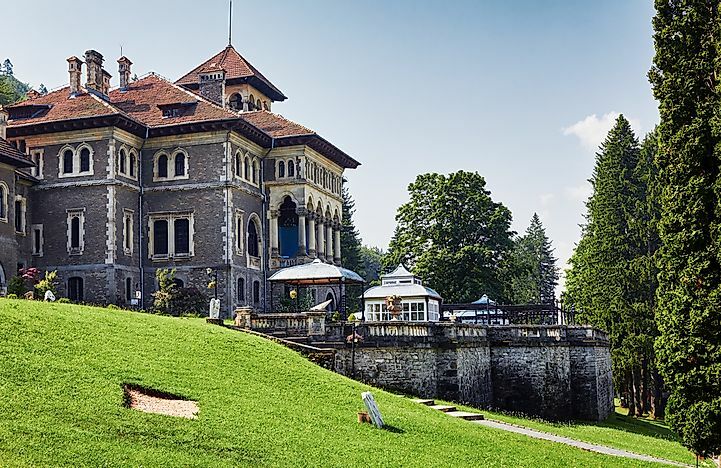 The entire estate of the Cantacuzino Castle occupies an area of 3,000 square meters and is built in the Neo-Romanian style. Until 1948, the castle was the private property of the Cantacuzino family. It was then forcibly nationalized and became the Ministry of Internal Affair preventorium. The castle was returned to the Cantacuzino family again in 1989 and sold to private investors in 2004. Today, after several restoration works, the castle is open for public viewing and is one of the most visited sites in the country. The Palace of the Parliament. The Palace of the Parliament is the seat of the Romanian Parliament. It also holds the record of being the heaviest building in the world according to the Guinness Book of World Records. It weighs around 4,098,500,000 kg. 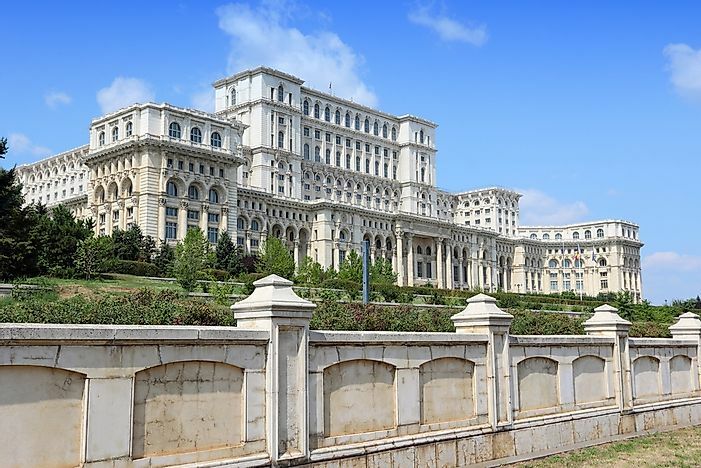 The Palace of the Parliament is the world’s second largest administrative building after the US Pentagon, and is also the world’s fourth biggest building. The 365,000 square meter building is located in central Bucharest’s Dealul Arsenalului. The Palace of the Parliament hosts 23 sections and houses three museums, an international conference center, the Senate, and the Chamber of Deputies. The interior of the building is well decorated and highly impressive in appearance. 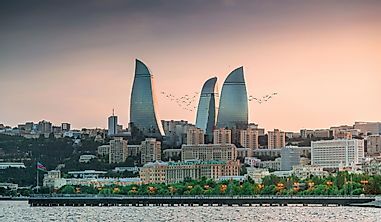 The building is also regarded as the most expensive administrative building in the world. 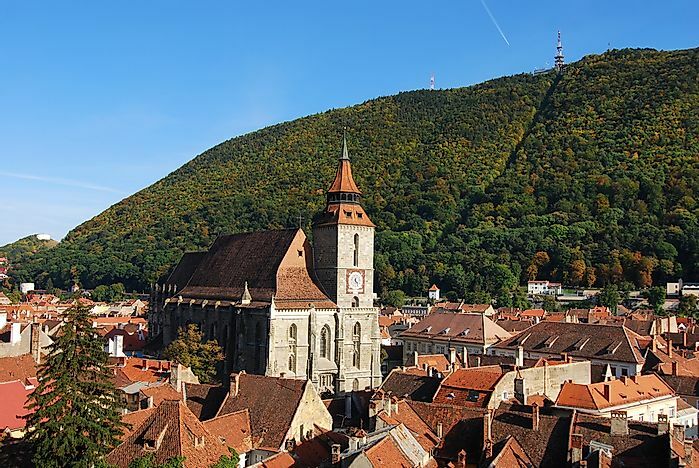 The Black Church or the Biserica Neagră is located in the city of Brașov in Romania. The impressive church building was built by the city’s German community and serves as a major Lutheran place of worship in the region. It is also the main Gothic style monument in Romania. The church was constructed during the 14th century. A raging fire set by the Habsburg forces partially destroyed the church on April 21, 1689. However, reconstructions following the fire helped to restore the church to its old glory. The Biserica Neagră is 38 meters wide, 89 meters long, and 65 meters in height. It hosts a huge 6 ton bell and a 4,000 pipe organ. The church also features impressive "Transylvanian" rugs donated by Transylvanian Saxon merchants in between the 15th and 17th centuries. The Black Church is also well designed and decorated and is thus one of the most popular tourist attractions in Romania. The Râșnov Citadel is also associated with an interesting legend. It says that due to the absence of internal water sources in the citadel, long term resistance during sieges was not possible. Hence, the residents of the citadel forced two Turkish prisoners to dig a deep well in the middle of the citadel with the promise of freeing them once the work was done. It is said the captives dug for 17 years and wrote Quranic verses on the well walls during this time. The well was completed and operational until 1850. However, the fate of the prisoners remains a mystery till today. It is even said that a 300-year-old treasure remains buried in the floor of the well. Today, the Râșnov Citadel is frequented by tourists in significant numbers. A museum within the citadel introduces tourists to slices of local history and provides a picture of life as it was in the citadel in the ancient times. 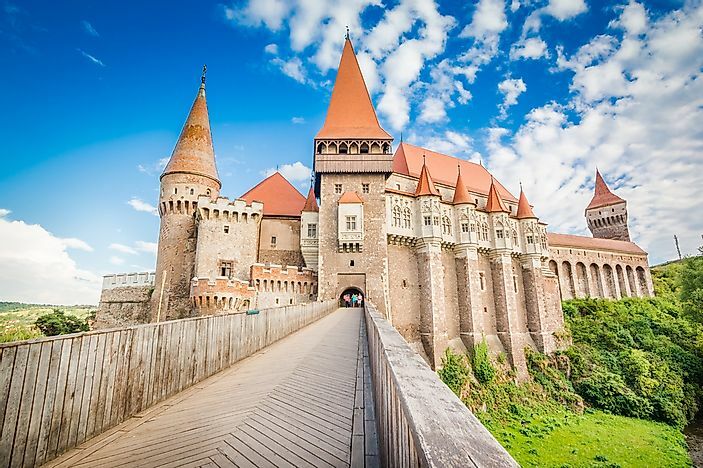 Hunedoara Castle, or Corvin Castle. The Corvin Castle, also known as the Hunedoara Castle, is a Gothic-Renaissance castle located in Hunedoara, Romania. It is a large castle, one of the largest ones in Europe, and was laid out in 1446. The castle was commissioned by John Hunyadi, a leading political and military figure of Hungary. 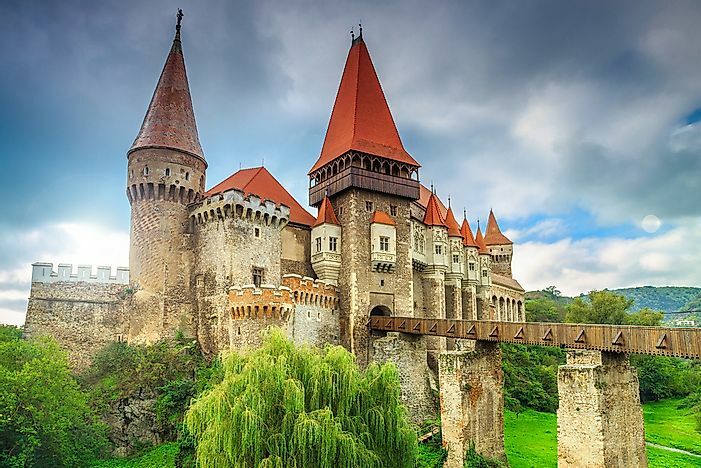 The castle is also linked to the dracula legend as tourists are informed that John Hunyadi held Vlad the Impaler as a prisoner in the Hunedoara Castle. 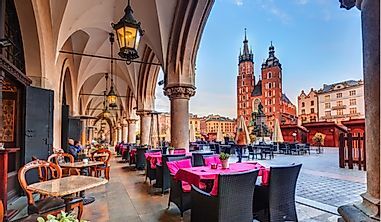 Later, Vlad the Impaler is said to have entered into a political alliance with Hunyadi although the latter was responsible for the execution of Vlad II Dracul, the father of Vlad the Impaler. It is said the character of Vlad the Impaler inspired the Bram Stoker's Dracula. The castle has hosted some television programs like the “Most Haunted Live!,” a British paranormal television program and the Ghost Adventures. The Village Museum is located in the Herăstrău Park, Bucharest, Romania. 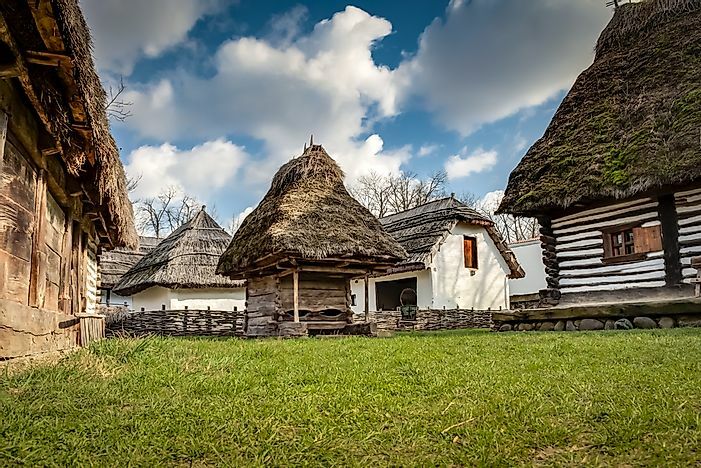 The ethnographic open-air museum showcases various aspects of traditional Romanian village life. The museum occupies an area of about 100,000 square meters and features 272 authentic representative Romanian houses and farms representing similar structures and cultures from all over Romania. The Grigore Antipa National Museum of Natural History is one of the most visited tourist attractions in Romania. The museum is located in Bucharest and was established on November 3, 1834. The museum is named after Grigore Antipa, a renowned Romanian Darwinist biologist who administered the museum for 51 years. The museum is the largest natural history museum in the country and features rich zoological, paleontological, geological, and other collections. The Historic Centre of Sighișoara, also known as the Sighișoara Citadel is a UNESCO World Heritage Site in Romania. It was built during the 12th century by Saxon colonists. 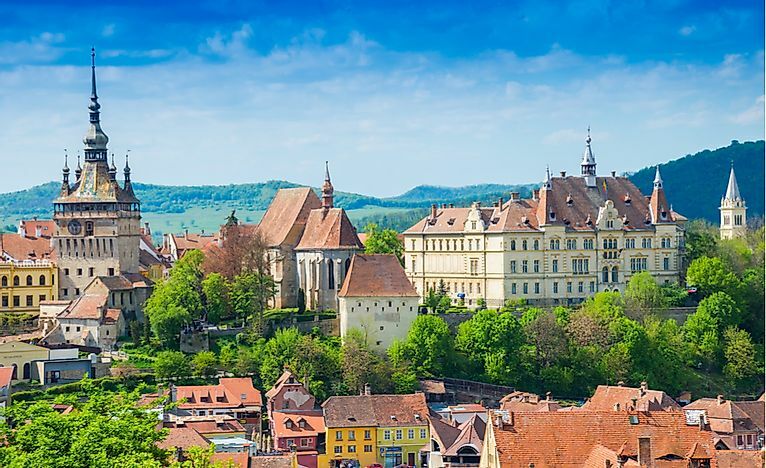 The historic importance of the Sighișoara Citadel as a representation of the culture and history of Transylvanian Saxons over a period of 850 years, makes it a worthy of a World Heritage Site status. The place was also the birthplace of Vlad III the Impaler, an important figure in Romanian history. 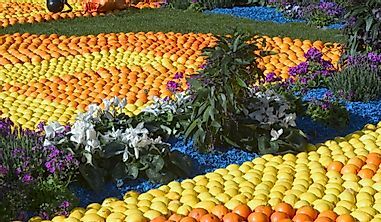 Every year, a medieval festival is hosted here that blends traditional art and craft with stage plays and modern day rock music. Many tourists visit the Sighișoara Citadel during this festival period. A Neo-Renaissance castle, the Peles Castle is located in the Carpathian Mountains close to Sinaia in Romania. The castle was built between 1873 and 1914 for King Carol I and was inaugurated in 1883. The Peles castle functions like a palace although it is popularly referred to as a castle. The Peles Castle has an impressive architectural design that is inspired by the Neo-Renaissance and Gothic Revival styles. The interiors of the castle is Baroque influenced. Heavily carved wooden furniture and exquisite fabrics characterize the grand interiors of the Peles Castle. The castle is 3,200 square meter in area and has 170 rooms which are decorated according to various themes inspired by world cultures. All the rooms are lavishly decorated with every minute detail being carefully taken care of. The Peles Castle is also famous for fine collections of art that include paintings, statues, precious stones, tapestries, rugs, and more. 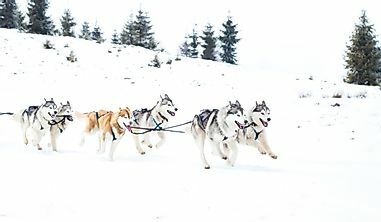 The entry to the Peles Castle is charged and there are several types of guided tours through the castle that tourists can select. 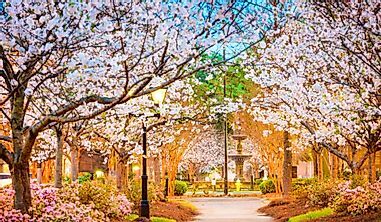 Photography fee is additional. 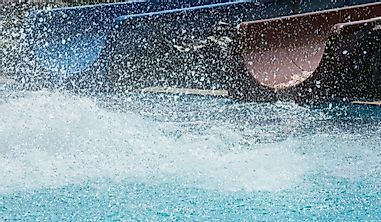 The castle remains open on all days of the week with the exception of Monday. The Bran Castle, also known as the "Dracula's Castle” is Romania’s most visited attraction. While some say this castle is the home of the title character of the Bram Stoker's Dracula, others claim this is only a myth, and that Stoker never even knew about the castle. 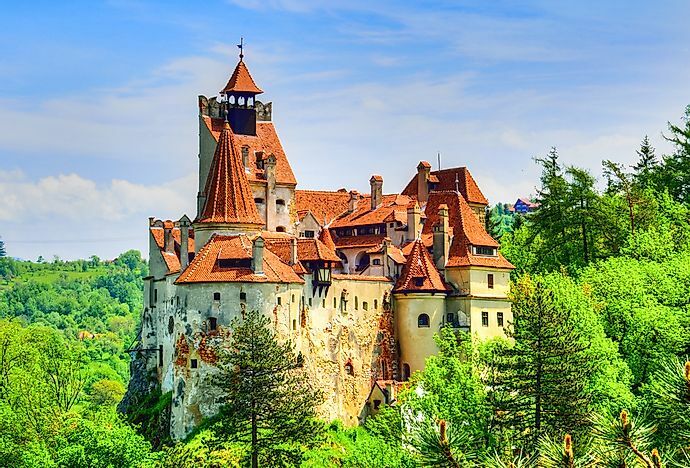 Whatever be the truth, the Bran Castle has become famous worldwide with tourists, many of whom like to refer to it as the "Dracula's Castle.” The castle is located on the border between Wallachia and Transylvania on the DN73 road. The Bran Castle has a long history and was first mentioned on November 13, 1377, in an act issued by the Hungarian ruler, Louis I. Between 1438 and 1442, the castle was used to defend the region against the Ottoman Empire. Later, it served as a customs post between Wallachia and Transylvania. The castle then played a strategic role in the region’s defense up to the mid-18th century. In 1920, after the Treaty of Trianon, the castle became the Kingdom of Romania’s royal residence. Queen Maria considered it her favorite home and commissioned extensive renovations of the castle. Later, the castle’s ownership passed through several hands till it became the country’s first private museum. On June 1, 2009, the Bran Castle’s doors were opened to the public. Tourists can visit the interiors either on a guided tour or individually. The castle displays furniture and art collected by Queen Maria. At the bottom of the hill where the Bran Castle is located, there is a small open-air museum where visitors can observe traditional Romanian peasant structures and learn about the ancient culture of the region.